Pine needle scale (Chionaspis pinifoliae) and Matsucoccus spp. 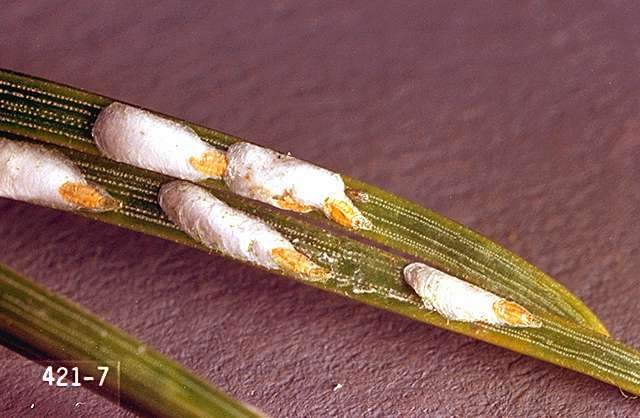 Pest description and damage Pine needle scale are elongate, pure white scale that feed on the needles. Heavily infested trees may appear crusted with white. Infested needles turn yellow, then brown. Twigs and branches may be killed. Repeated infestations may kill trees eventually. Pine needle scale often are found with the black pineleaf scale, which is gray to black instead of white. 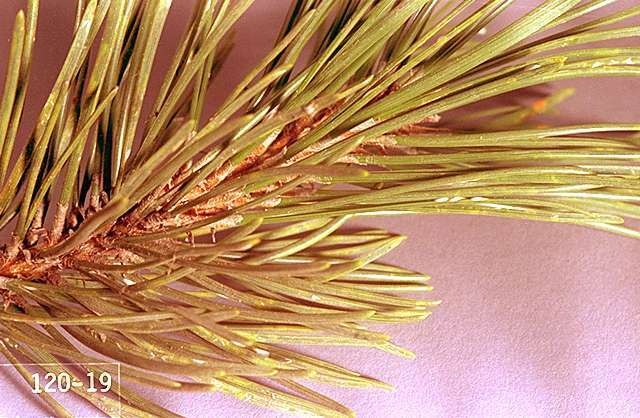 Pine needle scale is a serious pest of ornamental pines and also may infest arborvitae, cedar, hemlock, and spruce.